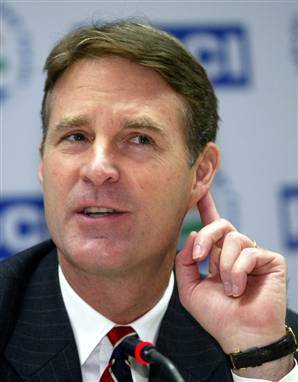 Senator Evan Bayh (D-IN) shocked the political world Monday by announcing that he is stepping down rather than serve a third term in the Senate, even though he would be practically certain of reelection. Bayh said that while he loved his quarter century of public service he didn’t love the Senate—not any longer. Bayh told the truth, I thought. Who could disagree when even a Republican plan for a bipartisan commission to deal with our alarming deficits was scuttled by seven of its Republican sponsors just as soon as President Obama announced his support. Maybe Bayh’s action would spark some change. Not so fast. In separate interviews with Anderson Cooper Tuesday, both Congressman-Presidential candidate Ron Paul (R-TX), darling of the conservative right, and television host-social critic-political commentator Bill Maher, darling of the progressive left, disagreed. They both told Cooper that the problem with Washington, and with American government, was too much compromise, not too little. That what America needs is more principled progressives/conservatives (take your pick) like them to prevent the conservatives/progressives (take your pick) from continuing to lead America down the path to destruction. As long as people follow “principled” thought leaders like Paul and Maher Bayh’s gloomy analysis will stand: the people’s business will not be done. Ethics calls for people to do the work they’re hired to do, for our legislators to do the people’s business. They’re failing colossally. This entry was posted on February 17, 2010 at 2:20 pm and is filed under Politics. You can follow any responses to this entry through the RSS 2.0 feed. You can leave a response, or trackback from your own site.